by William Shakespeare Author · Peter Holland Author of introduction, etc. William Shakespeare's The Merchant of Venice is both a witty comedy and a moving exploration of bigotry and stigmatisation, and this Penguin Shakespeare edition is edited by W. Moelwyn Merchant with an introduction by Peter Holland. Bassanio, a noble but impoverished Venetian, asks his friend the merchant Antonio for a loan to impress an heiress. Antonio agrees, but is forced to borrow the sum from a cynical Jewish moneylender, Shylock, who forces him into a chilling contract, which stipulates he must honour the debt with a pound of his own flesh. But Bassanio's beloved is not as demure as she seems, and disguising herself as a lawyer, Portia proves herself one of Shakespeare's most cunning heroines, in a witty attack on Shylock's claim. A complex and controversial comedy, The Merchant of Venice explores prejudice and the true nature of justice. This book contains a general introduction to Shakespeare's life and Elizabethan theatre, a separate introduction to The Merchant of Venice, a chronology, suggestions for further reading, an essay discussing performance options on both stage and screen, and a commentary. 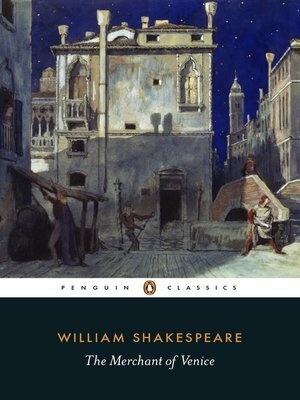 If you enjoyed The Merchant of Venice, you might like The Taming of the Shrew, also available in Penguin Shakespeare.